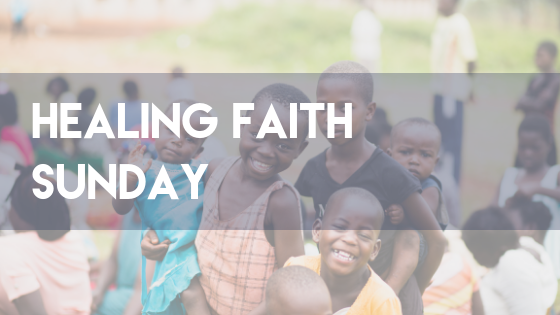 Thank you for supporting Healing Faith and rallying your troops around our mission in Uganda! Your financial support, prayer, and encouragement make our malaria outreach program possible. Below you'll find digital downloads full of resources and ideas to get your community involved in helping Healing Faith. Enlist your congregation in the malaria fight by organizing a Healing Faith Sunday at your church. This year we are celebrating Healing Faith Sunday on September 28, 2019, but please feel free to pick any date that works well with your church calendar! Our Healing Faith Sunday Digital Packet has everything you need to get started, including a Sunday School lesson plan, fundraising ideas, videos, a bulletin insert, and more. Enter your email at the sign up button below and we'll send it to your inbox. Hosting a Get Well Card Fundraiser is an easy way to get your community involved in raising support for Healing Faith while directly impacting our patients in a tangible way. This is a perfect project for Sunday School classes, birthday parties, book clubs, office service projects, scout troops, and school groups. In the Get Well Card Fundraiser Packet, you'll find tips for coordinating a group or individual fundraising project and instructions about making get well cards for our patients. Enter your email below and we'll send everything you need right to your inbox. It takes just a few minutes to launch your own individual or team fundraiser through our online giving platform. Create your page, set a goal, and start fundraising for Healing Faith today!